I had never curated an exhibition when I was asked to do so by the members of the exhibition committee of the Paramount Center for the Arts. I was hesitant to accept the job — until they told me that I could invite someone to co-curate. Alexi Rutsch came to my rescue, and I think we made a great curatorial team. We found wonderful tri-state artists who were working abstractly. 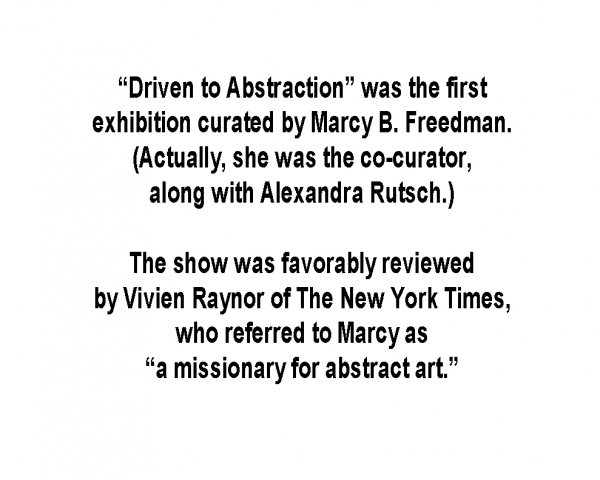 Indeed, the show received a favorable review by Vivien Raynor of The New York Times.